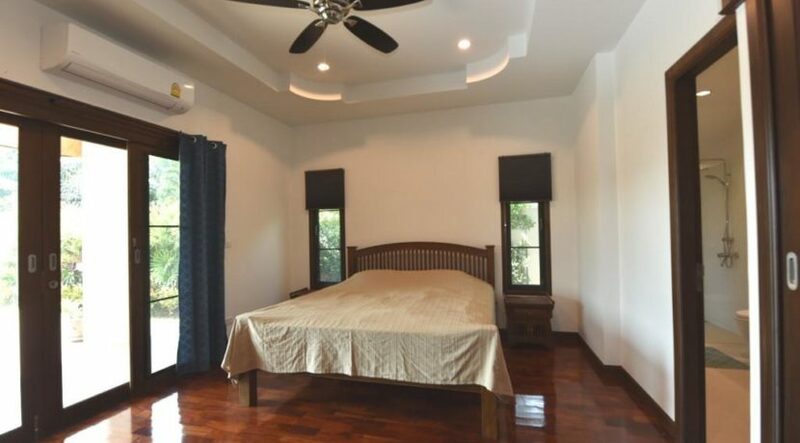 Balinese style pool villa in Hua Hin Hillside Hamlet6 just a 10-minute drive from city center with few minutes to Black Mountain Golf Club. The project share grounds with Hillside Hamlet #5 (total 42 villas in the development). 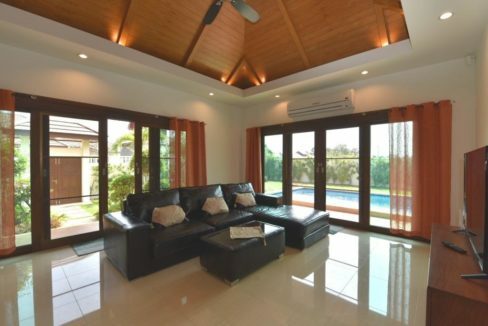 Being part of the Hillside Hamlet family, this pool villa is of superior design and quality. 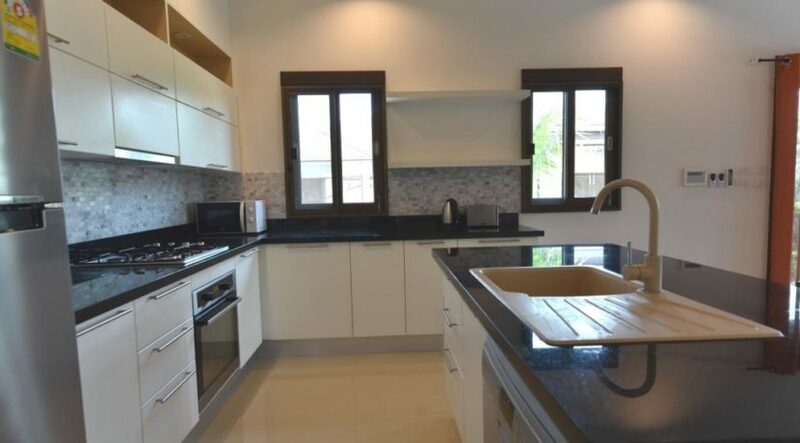 The villa has a spacious living/dining lounge combined with an open fully fitted European style kitchen, 3 large bedrooms and 2 bathrooms. The living room exits through wide sliding doors to the well planned landscaped garden and a 9×3,5 meter salt water swimming pool. 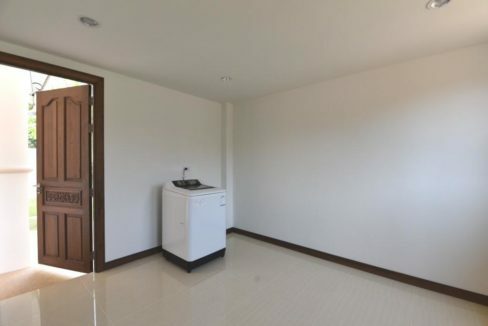 Additionally, find a spacious covered car park with electric gate and utility room. 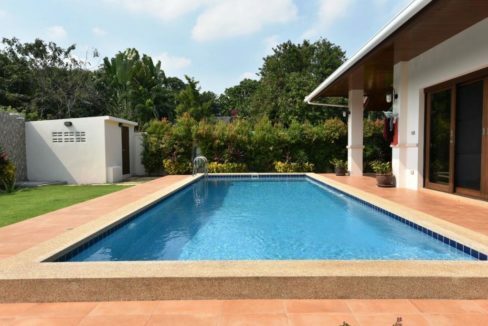 Please note these two options for further upgrade of the house: 1) The plot has plenty of space for setup of a covered Sala next to the pool (estimated cost 150K.baht). 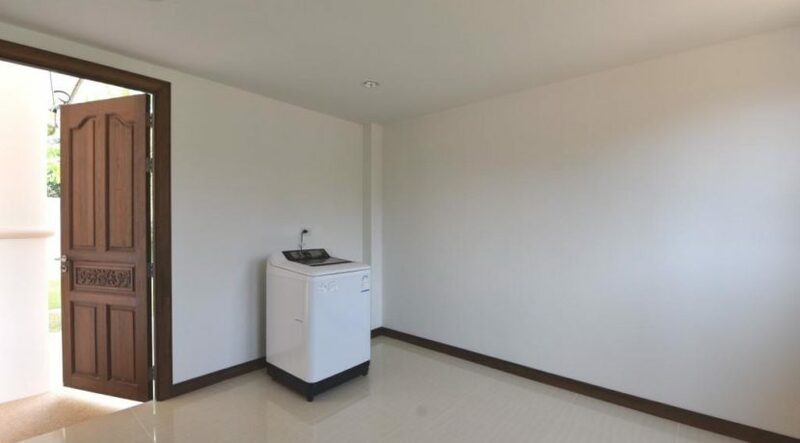 2) The utility room may easily be equipped and furnished as a 4th guest bedroom. 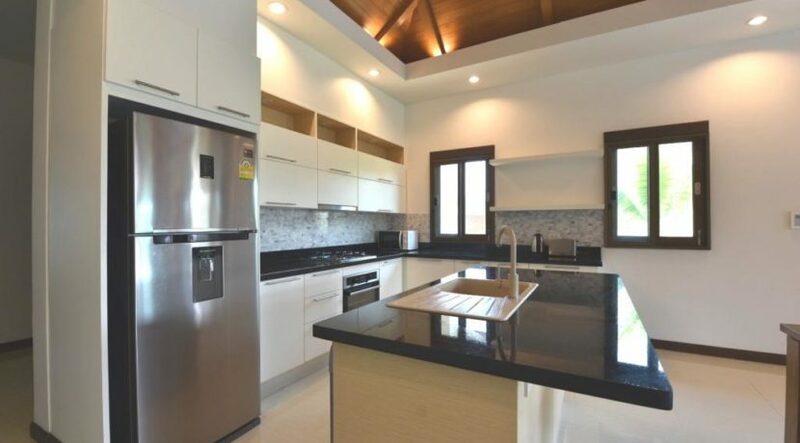 This Balinese style pool villa in an attractive area is offered at highly competitive price. Download description at: www.dansiam-property.com/6054432 and mail or call for viewing (+66(0)81-860-9611 (English/Thai) /+66(0)81-820-3496 (English/Scandinavian)).